Sometimes the best intentions end up as a waste. Tonight is the second choral rehearsal with orchestra, so I needed to eat a big lunch. However, I don’t know how and why this plan went suddenly awry. Is it because it’s so biting cold outside? Or that I’m still coasting on my day off yesterday? Well, my selection at the Van Dam Diner didn’t help things. 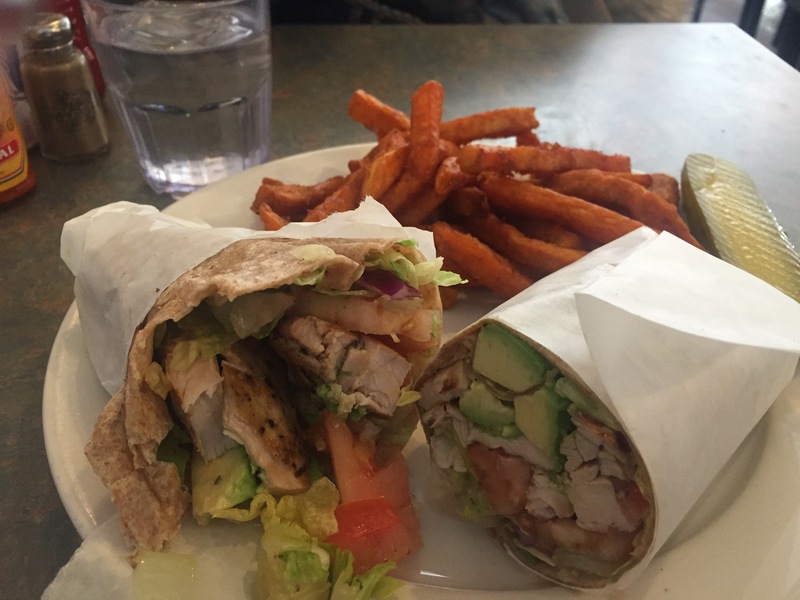 The Santa Fe wrap (grilled chicken breast, avocado, lettuce, tomato, carrots (they went missing) and balsamic dressing), it sounded healthy, like a grilled chicken salad in a wrap. The fries were good enough. However, I just couldn’t finish my plate. I just wasn’t that hungry for no good reason. It’s a very, very, strange feeling.